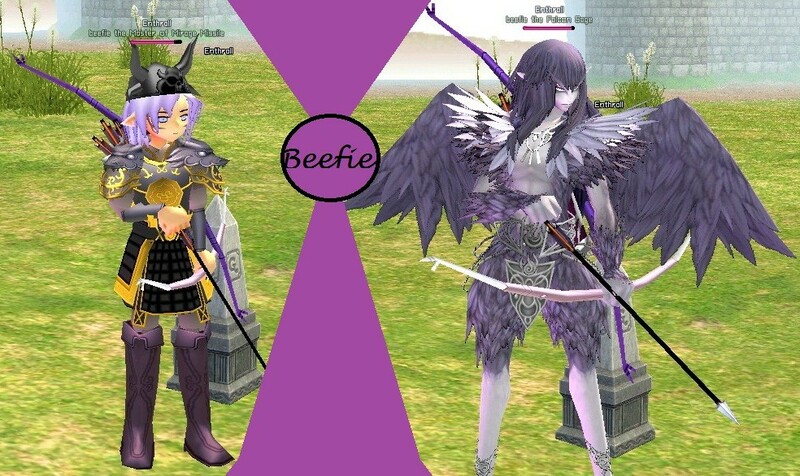 As for my character, beefie was created the vary day elves came to mabi, b4 that i played as a human(arggg and slowness). But ever cents elves came out i pwned with elven arrows. My mage/melee human was left around 900ish total and now beefie's into a four digit total.